Kathy will tell you that she loves her job because it is never boring and she loves the people she works with. Kathy and her brother, John are the 4th generation of Schwerdtle family members to work in the family business and many of their co-workers have been by their side for 20 or 30 years. In fact, Bill Morey celebrated his 50th work anniversary last year. As the song says, “we are family” and we have ridden the manufacturing roller coaster together – like the previous generation that survived the depression by sharing the daily receipts from the old brass cash register equally among the family and employees, our generation has weathered the dot com bust, the giant sucking sound of business leaving – not for Mexico but for China and the more recent near depression. In spite of these challenges, Schwerdtle not only survived, it has grown and reinvested in new facilities with a Lean efficient layout and the latest in CNC Technology for high speed, tight tolerance machining. In addition to being President at Schwerdtle Technologies, Kathy has embraced her family’s tradition of community involvement and education advocacy. 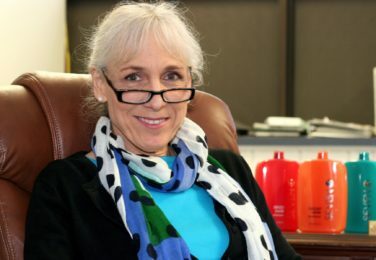 She serves on the Industry Advisory Board of the school of Materials Science and Engineering at UConn, the Advisory Board for the Manufacturing Technology program at Housatonic Community College and the Trade & Technology Advisory Committees for the Manufacturing Tech programs at 4 Technical High Schools in Connecticut. She has advocated for the state to expand these programs in order to meet an escalating demand in industry for skilled workers. With endless opportunities to improve systems, incorporate the latest in technology into the factory and their products, and expose bright, talented young people to manufacturing, Kathy is having more fun than ever.